Staff members describe what drew them to UTC for their career path, continuing professional development, and unique campus experience! Part of the UT System, UTC is dedicated to providing competitive pay, 401(k) contributions, plus annual, sick, and holiday time off, as well as one personal day off per year for nonexempt employees. Other benefits include checkout privileges at the Library and discounted memberships at the Aquatic and Recreation Center on campus, lodging/camping discounts at Tennessee state parks and other vacation spots, and other benefits provided to all employees within the University of Tennessee system. UTC also provides education fee waivers you can use at any higher education institution within the University of Tennessee System, Tennessee Board of Regents, or State of Tennessee. One of the principal missions of The University of Tennessee is to provide quality educational opportunities for the people of this state. One measure of the quality of an educational experience is the extent to which it enables the recipient to compete and be productive in society and contribute to the quality of life. The Board of Trustees recognizes that diversity in the educational environment, including an outstanding and diverse student body, faculty, and staff, and an environment conducive to learning, adds value to the educational experience and the degree earned. Interacting with people from diverse backgrounds and perspectives augments the curricular experience and affords every student the opportunity to gain the knowledge and skills necessary to be a productive and contributing citizen of this state and nation, capable of competing in a global society. Thus, diversity is fundamental to a sound twenty-first century education. We have over 700 part-time and full-time staff who help our campus thrive and succeed in all matters affecting UTC, from maintaining our beautiful campus to helping provide safety to our students and coworkers. For the past 35 years staff and faculty have been celebrated for their hard work, dedication, and commitment to The University of Tennessee at Chattanooga. Recipients are honored at the Annual Service Awards Program with a luncheon. 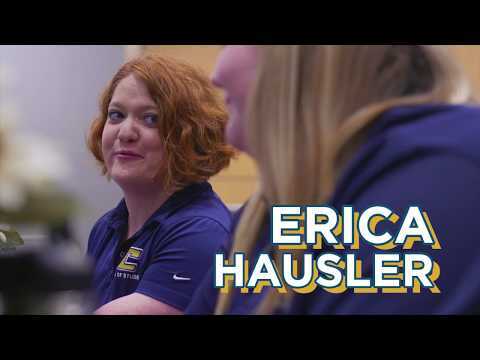 When a UTC staff member has exhibited outstanding service to others on campus, a nomination can be made for that person to receive a Blue Ribbon Award. All non-faculty staff (full or part-time) with at least one year’s regular service are eligible for the award. Nominations can be made by any UTC faculty, staff, student, alumnus, or member of the community. Maintenance Assistant:Moving furniture and appliances, lawn care, minor installation projects, painting, apartment inspections, and other related tasks. Custodial Care:Moving furniture and appliances, cleaning apartments, pulling trash, apartment inspections, floor care, and other related tasks. Warehouse Assistant:Receiving deliveries, stocking, inventory, and other related tasks. Maintenance/Custodial Assistant does NOT include housing or a meal plan for the summer. To apply, mail your application to: Chris Charland, UTC Facilities, 400 Palmetto Avenue, Dept 3553, Chattanooga, TN 37403. External applicants, UTC students & graduate assistants use UT Taleo for External Applicants. Also be sure to check our Temporary Positions listed below. Regular and temporary UTC Staff use UT Taleo for Internal Applicants. Also be sure to check our Temporary Positions listed below. Need Help Applying For a Job Through Taleo?